And chopped liver and tongue on rye from Katz's! Soon as I finish my speech at the UN. My old neighborhood. I could not afford to live there now. Katz's is able to stay there due to owning the (one story) building, but I predict in the not too distant future some developer will offer more money for the property than the delicatessen can possibly make. In truth I never cared much for Katz's. The Second Avenue Deli was much better. Retired as distinct from not working. Because you weren't really "working", in the commonly accepted sense, right? You were with the government. So this new state of nature if more definitional than practical. That sum it up? Except that your daily activity (as opposed to "work") will not be performed (if that is even a relevant concept in your world) in the old venue. I was a "Fed" so watch it pal. So "retirement" is a redundancy. Of course a Merchant of Death never really retires, right? I am sorta thinking of chucking it too actually. Having retired I can tell you all the pitfalls. But I shan't. Schadenfreude. A license to kill never expires. And i don't care what deli it comes from, I want some good NY chopped liver and tongue on rye with a good mustard! 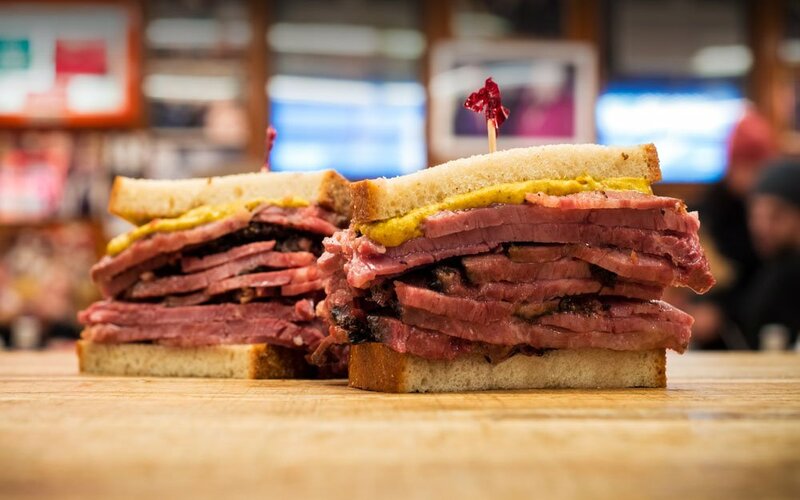 I had one 35 years ago in a NY deli (I don't remember the name or location, I was drunk at the time, but it was within a few blocks of Madison Square Garden) with some great potato salad and a huge half-sour pickle, and I've never had a sandwich as good since! The UN?!? Your standards are slipping. When I was a kid, you could just walk into the UN and no nonsense about a checkpoint with a metal detector. IIRC, it was a good place to use the toilet. Congratulations Abdul. I just got back from vacation last night myself, or I would have commented sooner.